google.com, pub-7644046360387696, DIRECT, f08c47fec0942fa0 Adorable Quotes: If You’ve Ever Woken Up At Night Unable To Move, Here’s What It Means. 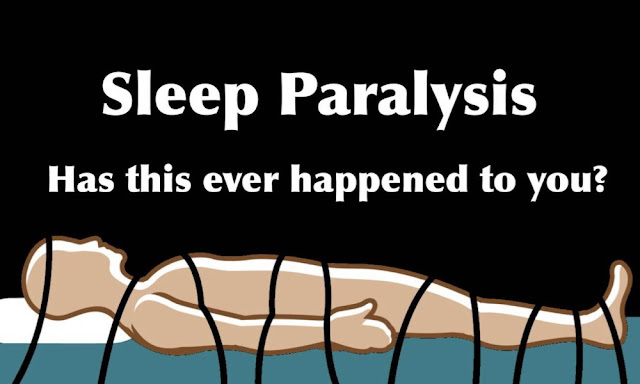 If You’ve Ever Woken Up At Night Unable To Move, Here’s What It Means. We’ve likely all experienced it at one point or another. You’re falling asleep, or just waking up, and you go to turn on your side… but you can’t. Your legs and arms are like cement, plastered to your mattress, and you can’t move. This condition is called sleep paralysis and occurs when a person goes through stages of wakefulness and sleep. It is that terrifying feeling when you are still asleep but partially awake and cannot move even though you are aware of all that is going on around you. Fortunatelly it is a very common happening and it doesn’t cause harm to the human body. Sleeping paralysis occur between two stages: “hypnagogic” and “hypnopompic”. The hypnagogic sleep paralysis happens when you are yet to fall asleep, while the hypnopompic sleep paralysis happens when you are just about to awake from your rapid eye movement (REM) sleep. On the other hand when you experience rapid eye movement (REM) sleep, dreaming is frequent, but the body’s muscles are relaxed to the point of paralysis, this is to make sure we do not physically act out our dreams. In the hypnopompic sleep paralysis, a part of your brain seems to wake up sooner than expected, while this will not influence that part of the brain that actually leads to REM paralysis, it will cause you to suddenly wake up with no control over your body for some seconds or minutes. Sufferers become alert in a transient conscious state, but they are unable to move voluntary muscles or speak. Although involuntary muscle movement, like breathing, is not affected, there is often a sensation of chest pressure, which is why many people wake up from sleep paralysis gasping to take a deep breath. Episodes can last anywhere from 20 seconds to a few minutes.